The Government of Tamil Nadu recently revamped the examination pattern for Higher Secondary Board Examinations, Tamil Nadu School Education Department has changed the pattern in order to reduce the mental stress of plus one and plus two students. 1. Two parts (paper I and paper II) of each language paper are combined. For Tamil and English both part I and II are merged into a single examination. 2. reduced the maximum marks for Higher Secondary Board Examination from 1200 to 600. 3. There will be no change in syllabus for the combined language papers. 11th And 12th Joining This. WHATSAPP Group. Sir I need answers for all set of model question papers …..thay are provided by government…….. But don’t download in my phone. Can i have model question papers with new pattern change in 1 mark for all bio-maths electives. can i get it soon plss hlp me? I have important questions for all chemistry lessons. Do you want it? Please do give important to hindi subject…..
No new pattern is available in web site…..
We would like to know a new pattern in hindi too …..
Plz sir…. I want answer key for model question paper ……. plz send me sir…. 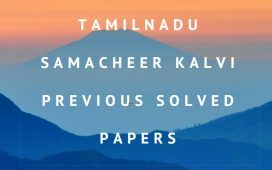 For all subject (tamil ,english ,maths , computer science, physical , chemistry). I am a student of commerce with business maths group. 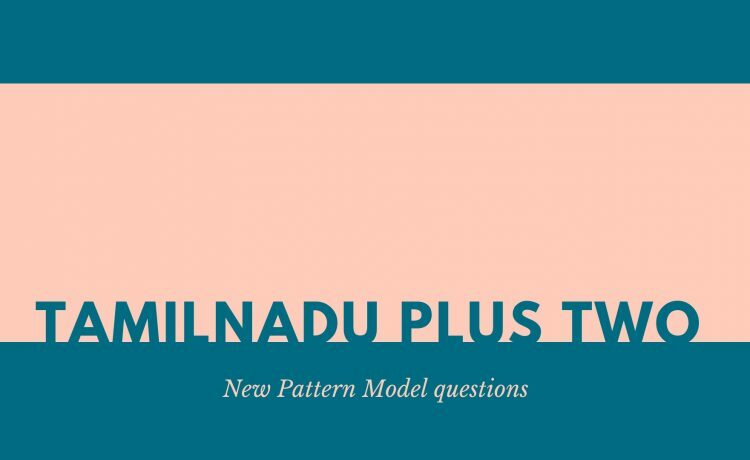 plz send me all subjects new pattern public question paper for my e-mail baburaamesha@gmail.com (TAMIL, ENGLISH, BUSINESS MATHS, ACCOUNTANCY, ECONOMICS, COMMERCE …) Kindly i request to send the new pattern model question paper .. Very few days are for our exam….. so kindly send it. Is there any changes in one words pattern for 12th ???? Is it gonna be only choose or fillups too? ?….please somebody tell me about this….if you know pls reply me ….. when did this change happened??? And in which they telecasted it??? the correct answer’ form(MCQ) . Don’t worry,there won’t be fill ups! Yes .In newspapers i also saw it.. my teachers also informed us. But nobody knows whether it is confirm or not..
Kindly send 12th std English medium commerce group with computer science subject new pattern question papers . Plz plz……. I need a all subjects model question papers related to maths bio group……. Plz upload fast……..
Sir please send model question paper (NEW PATTERN) OF PLUS TWO for all subjects (maths, physics, chemistry and biology) to my mail id rssundari2003@yahoo.co.in. Thank you. I need 12 th economics model question paper in English…. Please send me physics half yearly & quarterly question paper plz sir…… 😭😖😩😩😩 To my e – mail account.. Plz sir….. I am so critial condition.. I m a biomaths student…plzz send me as soon as possible…it s my humble request…. pls let us known about the pattern of one words…………. is it going to be choose the correct answer or fill in the blanks?????…….. Sir or mam please let me know the new pattern for the public exam it will be easy for ous to learn for the public exam please. Please send New pattern model question papers of 12th std to my whatsapp number….9551629681…. I’m studying in commerce group with buisness maths….pls send me sir…..
Sir plz send me all subject question paper sended by government I’m commerce computer science group Tamil, english,accountancy,computer ,commerce economics…. sir can you sent 3 important question paper which was send by tamil nadu. Please sir. I need all the new patterns question paper of all subjects related to commerce student.. I kindly request you to mail me those questions on my Gmail account…. I need an economic question pattern to prepare my board exms lyk a bunny’s !! I need 12th English medium bio maths group all subject mark weigtage content blue print. HAPPY MORNING, For 12th language HINDI. Till date we could’t receive any model paper or question pattern. (one paper 90 marks). Each one district is following their own way of question papers. please let me know the Government prescribed pattern.